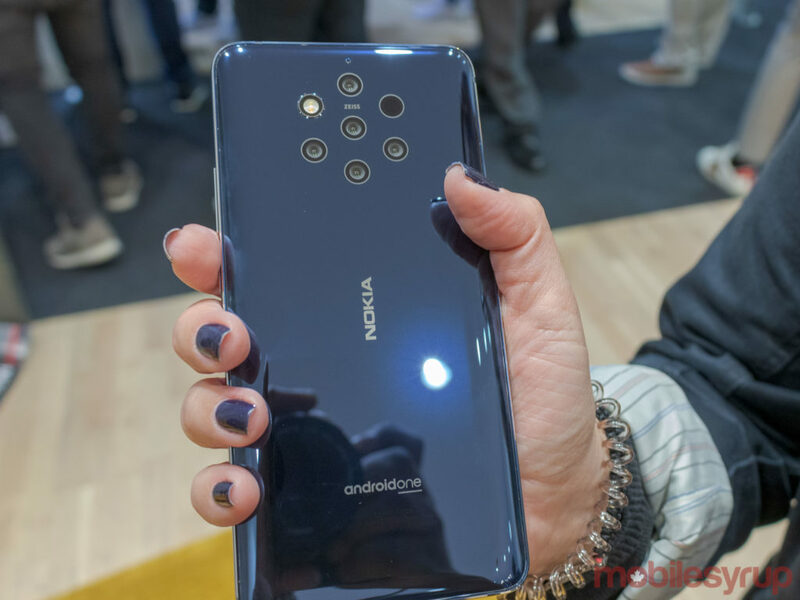 At Mobile World Congress 2019, HMD Global, the owner of the Nokia smartphone brand, launched a variety of new handsets, including the flagship Nokia 9 PureView. While the phone is a mixed bag of features — with a dated front-facing aesthetic, a processor from 2018 and a rear camera array with five cameras — it definitely caught my attention. HMD hasn’t said if the 9 PureView is coming to Canada, but either way I briefly went hands-on with the device. From the front, the Nokia 9 PureView looks like a lot of smartphones from 2017. It features considerable top and bottom bezels and a single front-facing camera with an Nokia logo adjacent. While some dislike display notches, they add extra screen real estate and that’s something the PureView could use more of: the phone features a modest 79.7 percent screen-to-body ratio. The device reminds me of handsets like the LG G6 and the OnePlus 5T. With it being 2019, the smartphone would have benefitted from a slimmer profile. 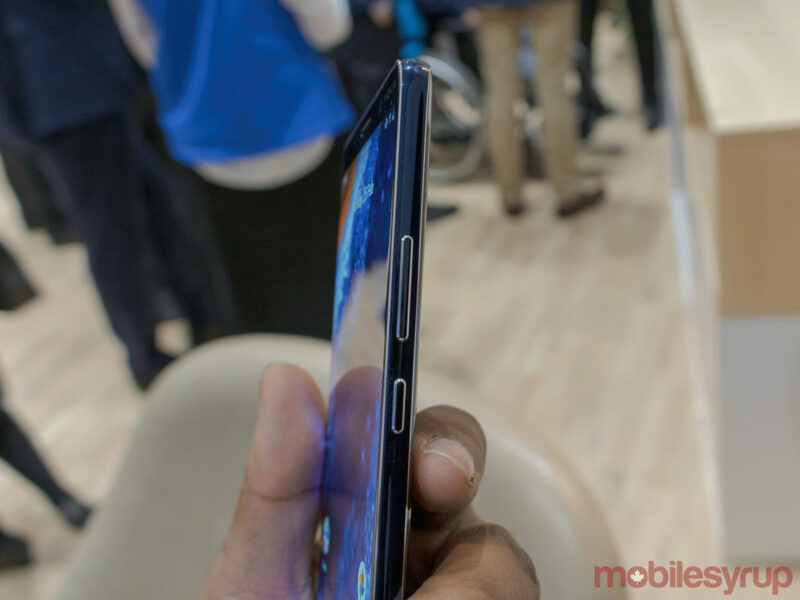 Flipping the 9 PureView over reveals the handset’s almost circular seven-sensor camera array. Even by 2019 standards, the setup is impressive. It includes a time of flight sensor, a dual LED flash module and five camera sensors. The handset also includes an in-display fingerprint sensor, which further accentuates its mixed bag of features. The 9 PureView feels quite light. Weighing in at 172g, it’s lighter than the OnePlus 6 and iPhone XS. With its light body and slightly rounded corners, the device was easy to hold, but it felt slippery and the back glass was a fingerprint magnet. The handset sports a unibody design with 6,000 series aluminium that seamlessly blends into a Gorilla Glass 5 display. 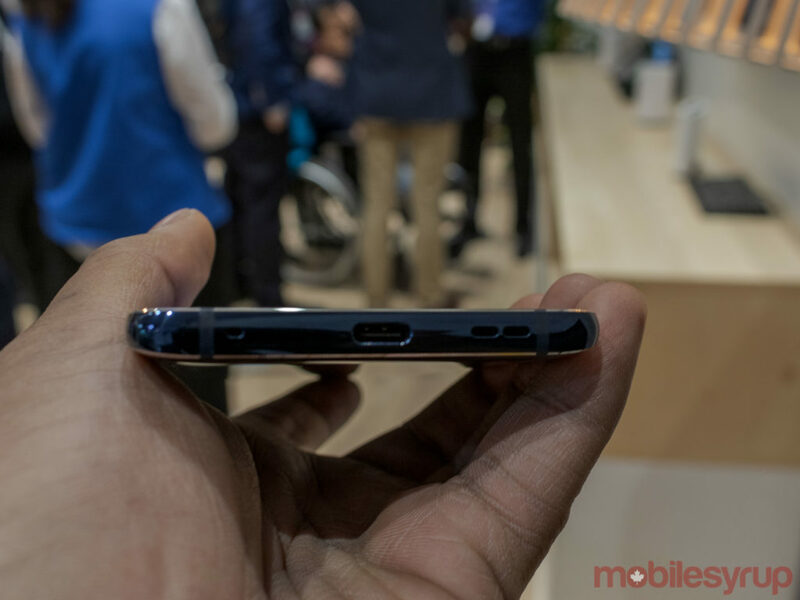 On the bottom, there’s no 3.5mm headphone port, but there is a USB-C port for charging. On the right side, you can find the volume rocker and power button. Display-wise, the handset features a 5.99-inch P-OLED screen with a 2,880 x 1,440-pixel resolution and HDR10. 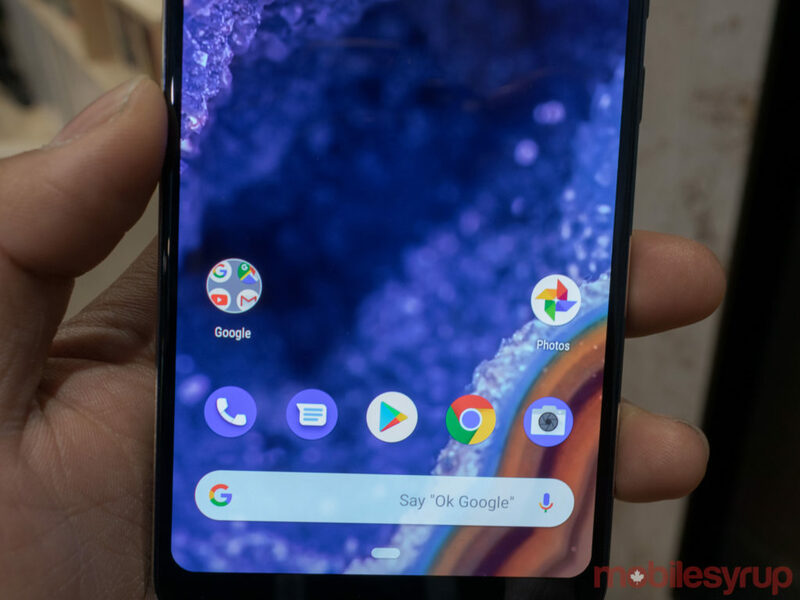 The screen wasn’t perfect, especially when compared to screens on phones like the Samsung Galaxy S10 or LG G8, but it offered rich blacks and a lot of colour. The screen was a bit on the saturated side. However, it still depicted colours accurately and pictures looked great and true-to-life. HMD used Nokia’s PureView, a brand that was previously associated with Lumia phones. Both the Nokia Lumia 920 and 930 were PureView Lumia devices, that featured on-chip image processors for — at the time — better image sampling, digital zoom and reduced noise. It’s safe to say that Nokia associates its PureView brand with phones with high-level camera performance. The main highlight of this phone is its five rear-facing cameras. HMD has placed three monochromatic sensors for contrast, depth and exposure, as well as two RGB sensors for colour. Each of the five cameras sport 12-megapixel sensors, which can shoot simultaneously. 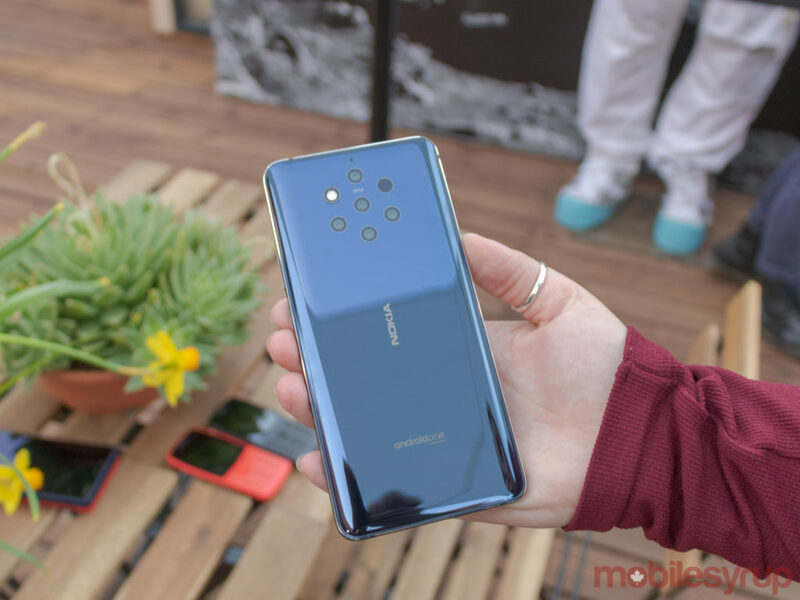 HMD says some of the advantages of its camera is the ability to capture 1200 layers of depth, capture more detail and that it has a better high dynamic range than phones that use fewer cameras. I thought the images I took looked decent, though I took them while in a convention centre that didn’t have the best lighting. What I found interesting was the ability to take a picture in the normal camera mode then being able to go into the Photos app and change the depth of field on any of subject, whether the subject was in the foreground, the background or in between. HMD says it’s able to make these depths of field effect changes by producing 1200 layers of depth with each subject having its own layer of depth. Phones like the iPhone XS and Samsung’s Galaxy Note 9 and S10 can change depth after taking pictures, however, being able to specifically pick a subject and change the depth around it is something that the Nokia 9 PureView was able to do easily. During the hands-on, HMD Global showed off some of the native black and white photography that they allegedly took with the Nokia 9 PureView. I was impressed by the pictures and I’m looking forward to testing out its monochrome mode. When taking pictures in black and white, the 9 PureView uses its three monochrome sensors, so that the resulting photos are better exposed and feature more detail than photos taken by phones with a single monochrome sensor. 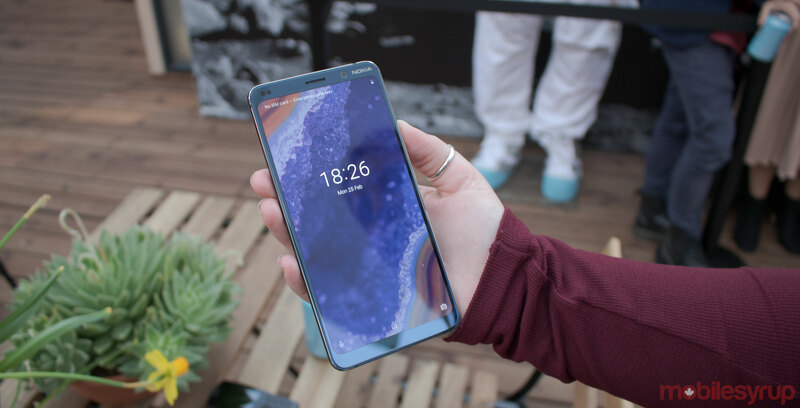 HMD says that its pictures can capture anywhere from 60 megapixels worth of data up to 240 megapixels worth of data when each camera shoots four times and fuses all of the data that is captured into one image. On top of all of this, the 9 PureView can capture images in RAW and allows users to edit these images in Adobe Lightroom on-device. HMD worked with Zeiss Optics, camera startup Light and Qualcomm on the five-camera setup. The Snapdragon 845 actually only supports three rear-facing cameras but Qualcomm optimized the chip to work with all the 9 PureView’s cameras. The Nokia 9 PureView sports a Snapdragon 845 processor, 6GB of RAM, Android 9 Pie and a 3,320mAh battery. I thought the 9 PureView ran pretty quickly, though I didn’t get the chance to truly put it through its paces. That said, its 2018 processor is definitely not on par with phones like the S10 and the LG G8 with their Snapdragon 855 chipset. Additionally, the device runs Android One, a near-stock version of Android used by many of the company’s other handsets. Alongside a 2018 processor the 9 PureView sports wireless charging. The Nokia 9 PureView isn’t the best out there, nor is it the showiest, but it can take a good picture.